The most powerful case against the American central bank ever written. This work begins with a minitreatment of money and banking theory, and then plunges right in with the real history of the Federal Reserve System. 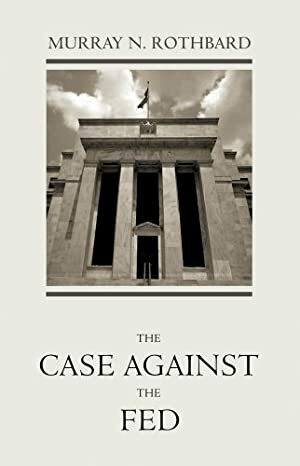 Rothbard covers the struggle between competing elites and how they converged with the Fed. * What is the Optimum Quantity of Money? To search for Mises Institute titles, enter a keyword and "LvMI" (short for Ludwig von Mises Institute); e.g., "Depression LvMI"
Track It. This book has been $2.76 within the past year. Log In to track Murray N. Rothbard on eReaderIQ. to be notified each time the price drops on any book by Murray N. Rothbard. to stop tracking Murray N. Rothbard. We started tracking this book on June 4, 2011. The price of this book has changed 47 times in the past 2,880 days. This lowest price this book has been offered at in the past year is $2.76. The lowest price to date was $1.75 last reached on April 4, 2012. This book has been $1.75 one time since we started tracking it. The highest price to date was $4.99 last reached on January 1, 2012.